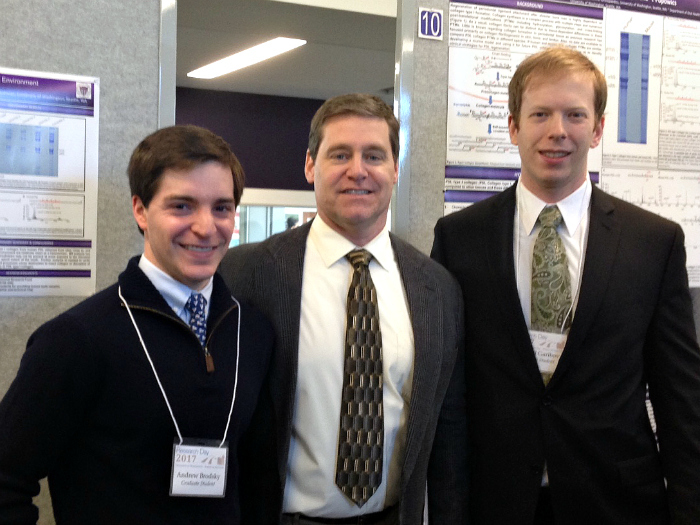 The Department of Periodontics was well-represented at this year’s School of Dentistry Research Day, held on September 25th, 2015. During the Oral Session, Dr. Jeffrey McLean gave a presentation on “Disrupting Microbial Social Networking #Epic.Oral.Fail”. 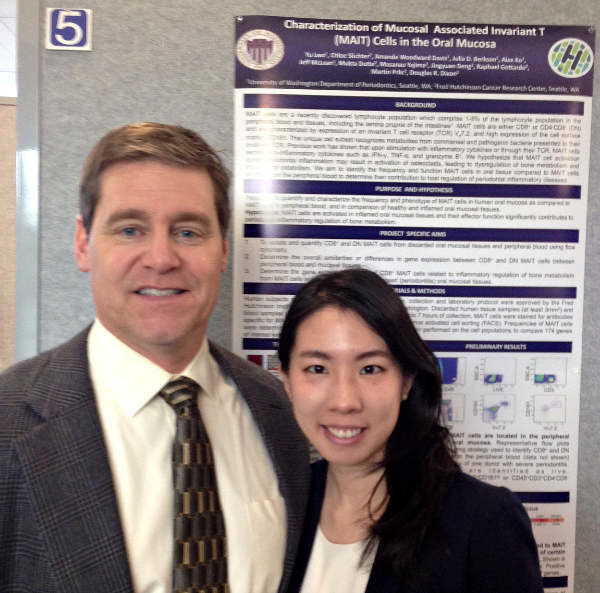 In the Poster Session that followed, Mikhail Garibov gave a presentation on “Post-translational Collagen Synthesis in Human and Murine Periodontal Ligament Tissue”, while Alex Ko and Ruby Lwo presented on “Characterization of Mucosal Associated Invariant T (MAIT) Cells in the Oral Mucosa”. 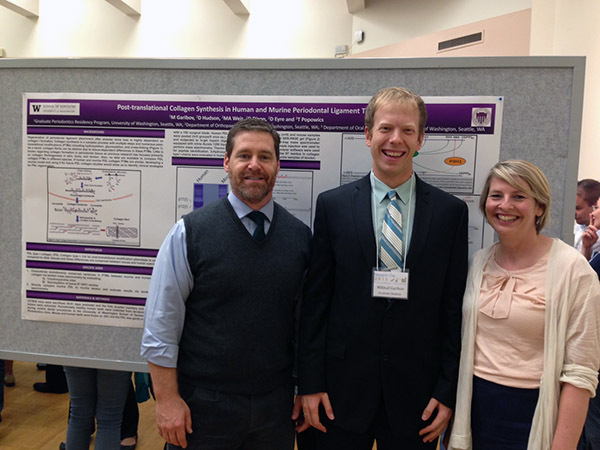 Left to right: Dr. Douglas Dixon, Dr. Mikhail Garibov, Dr. Tracy Popowics. Drs. Dixon and Popowics were Co-PIs on the project. 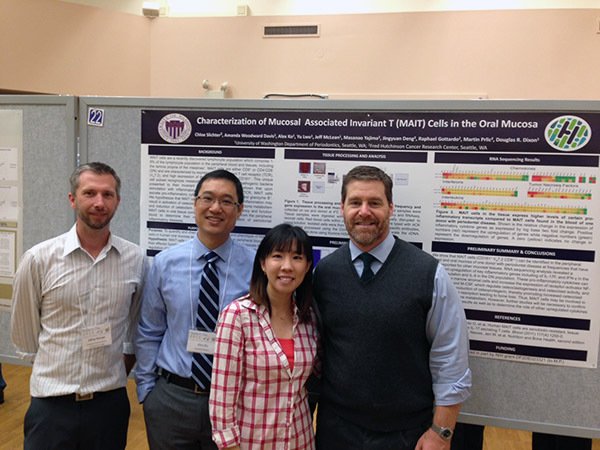 Left to right: Dr. Jeffrey McLean, Dr. Alex Ko, Dr. Ruby Lwo and Dr. Douglas Dixon. Drs. Dixon and McLean were Co-PIs on the poster. This entry was posted in Faculty, Research, Residents and tagged Research Day, School of Dentistry on September 28, 2015 by Meghan Guillen.